Listed below are a couple of great baseball pitching tips that will help you and your team win close games. In games won or lost by one run, there are things that happen that seem little at the time, but turn out to be huge. Whether it be hitting the right location on an important pitch, or preventing the runner from advancing, getting the small things right can win baseball games. These baseball pitching tips are not really for beginning pitchers, but it would be good for young pitchers to read them and store them away for future use. These pitching tips are more for the pitcher who has advanced to the point where they are pitching to location, and also have more than just a change up for an off speed pitch. But please do not stop reading if you are not quite to that point in your pitching career, because you might be able to start using a couple of these tips now. 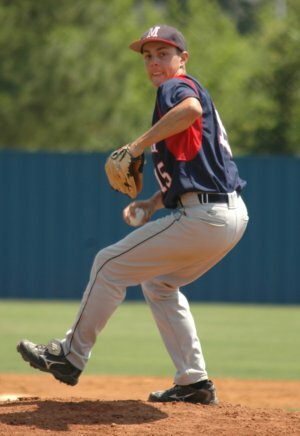 Also you will be surprised how soon these baseball pitching tips will be able to help you. The go ahead run is on first base and there are two down. The count is 0 and two and you need just one more strike to get out of this. Being the smart pitcher you are, you know that a 0 and two count is in your favor. So you are going to waste a pitch and see if you can get the batter chase to it. 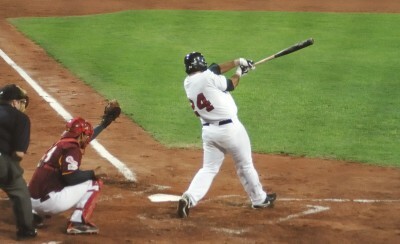 There is no way the hitter is going to be able to put a good swing on a slow breaking, down and away pitch. You throw that pitch and just bury it in the dirt, but the hitter doesn’t bite. And worse yet it gets by the catcher and the runner advances to second. Now you are mad and decide to just blow one by him. The batter digs in and he is thinking fastball and that he will just foul off any off speed pitch. In comes your hard stuff, his eyes light up and he sends a line drive into right field. The runner on second gets a good jump and scores easily. You strike out the next batter and the inning is over. But the damage has been done. OK, let’s go back to that 0 and two count. Your next pitch is the one you buried in the dirt and got by the catcher. That pitch put the winning run in scoring position. Let’s try a different pitch. Many hitters love high fastball. You get one up in their eyes and they just can not resist it. They have little chance of getting their bat on the ball. And if they do put any wood on it, it is usually a pop up. So you throw the batter a high hard one and like the last time he doesn’t chase it. Only this time your catcher has no problem handling the pitch. The runner stays at first, the batter then singles to right and the runner advances to third. You strike out the next batter and the inning is over with no damage done. The location of one pitch means the difference between the other team going ahead or the game remaining tied. With runners on base give your catcher a chance. Hitters are just as likely to chase a high hard one as they are a breaking ball down and away. And your catcher has a much better chance at handling a high pitch cleanly. Just make sure it is up in the batters eyes. The last couple of years something great has happened to watching a major league baseball game. Usually, when you are at the ball park or watching on TV, the velocity of the pitches are shown. Sometimes very briefly, but you can catch them if you are paying attention. Now that you are a pitcher, watch the speeds closely. You will notice that a pitcher's fastballs come in at different speeds. That is not by accident. One way to get hitters out is by keeping them off balance. Watch a two strike fastball with runners in scoring position. It will be the fastest pitch thrown. He's been saving it. So start working on pitching your fastball at different speeds. And save the hardest pitch for those tight situations.